The images of detained South Asian migrants in cages, and protests against Canada's immigration rules, are jarringly familiar. 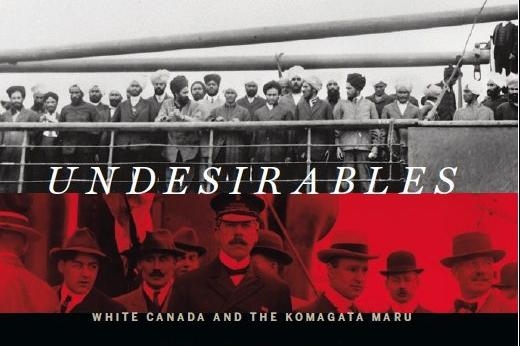 Such photographs of struggle and oppression form the stirring backbone for award-winning filmmaker Ali Kazimi's book, Undesirables: White Canada and the Komagata Maru, An Illustrated History. 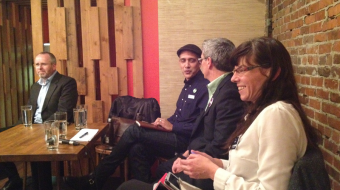 (The official book launch will take place on Tuesday, May 22 at 7:30 p.m. at W2 on 111 West Hastings St.). As the 98th anniversary of the 1914 Komagata Maru incident approaches on Wednesday, the images of Canada's deportation of 376 asylum-seekers nearly a century ago evoke recent controversies over Tamil and Chinese boat arrivals on the West Coast, Kazimi writes in his introduction, as well as government legislation restricting migration today. 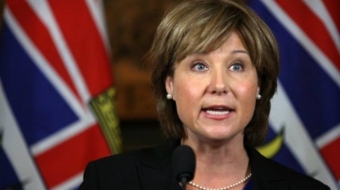 Today, the New Democratic Party (NDP) renewed its demand for an in-Parliament apology over the incident. “The tragedy of the Komagata Maru marks a dark chapter in Canadian history,” said MP Jasbir Sandhu in a statement. “The Conservatives must provide closure on the trauma this has caused in the South Asian community. 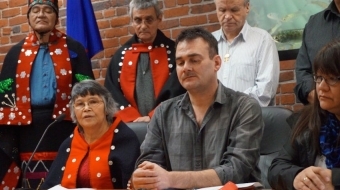 In 2008, Harper apologized, informally, at a community event. But members of the Lower Mainland's Sikh community rejected that attempt, saying that an official apology – like those for the Chinese head tax and Indian Residential Schools – needs to happen in the House of Commons. "The apology has been given," said Jason Kenney, at the time Secretary of State, "and it won't be repeated." Kazimi's beautifully illustrated book is quite simply a pleasure to read. He is particularly attentive both to the South Asian community's solidarity with the migrants, as well as the lines of power intrinsic to Canada's border laws. By clearly naming and documenting "White Canada," as it saw itself, Kazimi sharpens the Komagata Maru incident into an image of racism and resistance. He opens his account with full-page photographs of Sikh military figures serving the British Empire, and postage stamps showing the Empire's breadth. It is obvious that Indians were legally British subjects, and that Canada's “Continuous Journey” laws keeping the Komagata Maru passengers out – on grounds that they had made stop-overs on their way here – were simply a thinly veiled racist excuse for exclusion. But with Undesirables, Kazimi – whose 2004 documentary, Continuous Journey, won more than 10 awards at festivals from DOXA Festival in Vancouver to the Mumbai International Film Festival – is driving at a much deeper goal than simply documenting a historic injustice. “Concerns about terrorist links and national security were added to the existing stereotypes of 'queue-jumpers,' 'bogus claimants' and 'economic migrants,'” Kazimi writes. “The precedents set by the events surrounding the Komagata Maru continue to haunt Canada's immigration and refugee framework.